The BRC Food Safety certification focuses on the measurement, review and assessment of the factors that influence food safety. Many food manufacturers will find that large retailers and other potential customers will require suppliers to have some form of third party food safety certificate such as BRC. 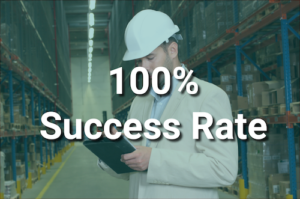 This demonstrates to potential clients that your business operates to a high standard of food safety and complies with their supplier approval process. We work hard to ensure our clients successfully pass their third party audits and we’re really proud of our 100% success rate. Recent successful audits include Shield Foods, wholesalers and distributors of gourmet seafood including fish, crustaceans and molluscs. Shield Foods recently passed their BRC Food Safety audit and were awarded A grade. We’ve also been working with, Valley Grown Salads, one of our clients who are required to undergo unscheduled audits as part of their contract with a large retailer. We worked closely with Valley Grown Salads to ensure their food safety systems were effective and monitored to ensure they were ready for inspection at all times. They recently passed their BRC Food Safety audit and were awarded the highest achievable grade of AA. Similarly, our client St James Smokehouse were awarded the highest achievable grade of AA in their recent BRC Food Safety audit. St James Smokehouse supply the finest quality fresh Scottish Salmon, using only natural, pure and fresh raw materials, strictly forbidding the use of artificial flavours or preservatives. In achieving such a high grade for BRC Food Safety, St James Smokehouse can provide existing and potential customers with confidence on the safety of their product. For advice on how your business can achieve certification in BRC Food Safety, submit an enquiry below or talk to an expert on 08450 267 745.